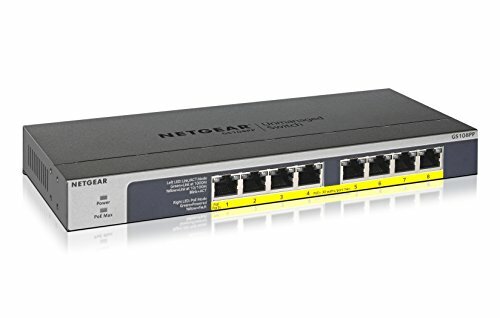 The NETGEAR GS108PP is the industry's first flexible PoE+ 8-Port Gigabit plug-and-play switch with 120W PoE budget. The Industry's first flexible PoE+ integrated technology allows you to increase or decrease the PoE budget at any time to provide to your devices the power they need with interchangeable external power supply and an intuitive power selector. The flexible mounting options (rack-mount, wall-mount or desktop) and the compact and fan less design make the GS108PP an ideal option for any business or home.